As a child, whenever I visited a memorial or any historical site, my father always told me to imagine myself as if I were there. He always said to stand and take in my surroundings. As I do this, I imagine myself as if I were witnessing the historical moment. While this approach may be relevant with certain memorials, there are others that are too complex to understand. Some memorials have either been forgotten, destroyed or lost to history. 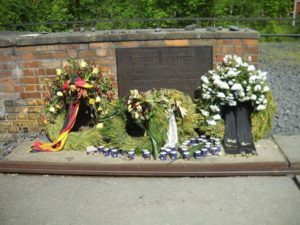 One such memorial is known as the Track 17 memorial at the Grunewald Station in Berlin. During the Holocaust, over fifty thousand Jews were deported from Berlin by trains. This memorial honors the Jews and other victims that were deported in Eastern Nazi-occupied Europe to their deaths during the Holocaust. After a recent visit to Berlin, coming upon Track 17 was something of almost a discovery to me. Learning of the Holocaust throughout my educational career, I have briefly learned of the deportations, but not the exact location of the train stations themselves. 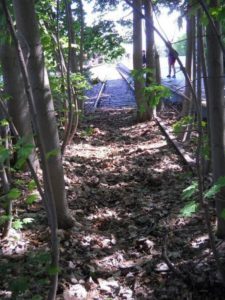 With the passing of time, an overgrowth of foliage has covered most of the tracks along with the platform but it is still standing. 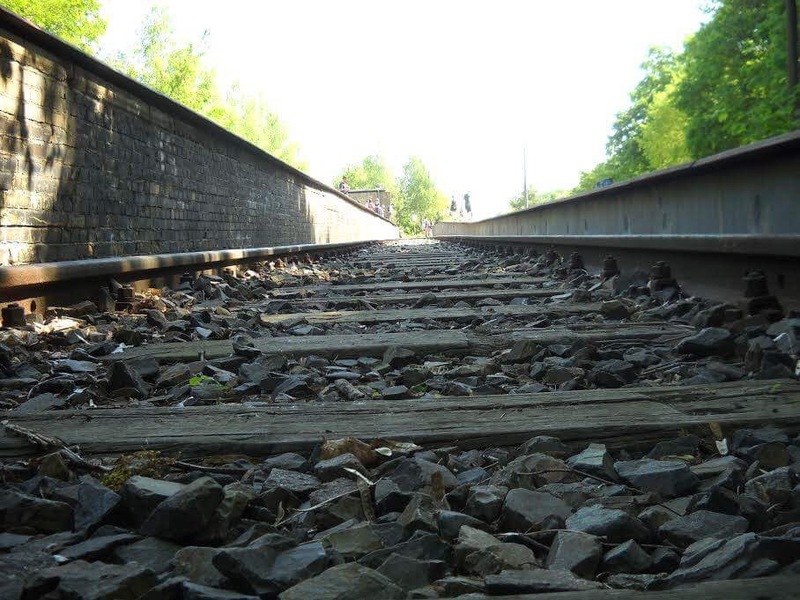 Today, very few people are aware of Track 17 along with other similar sites across Europe, and the role they served from the beginning to the end of the Holocaust. Track 17 has had some recognition, which includes plaques that were placed at the memorial site. 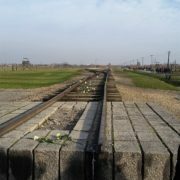 The first plaque lies along the old track that gives the dates of transportation, the number of Jews that were transported and which camp or death site they were taken to. The second plaque lies at the end of the platform, onto the track itself. This plaque is to honor the victims. On both of these memorials, there are candles, flowers and stones, placed by visitors as a recognition of respect. Although this does give some recognition, the track is not as visible as it should be. 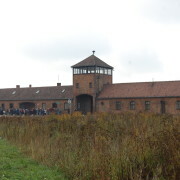 Of course we remember the concentration and extermination camps such as Auschwitz, for example, and how approximately over one million people were murdered. We remember this because of the horrors and the atrocities that occurred, but we may not be aware of the system of transportation that aided the annihilation of those persecuted by the Nazis. Although it is important that we remember the concentration and extermination camps, it also important that we recognize the transportation systems as well. Track 17, along with various train stations were an enormous part of the Holocaust. Theses trains were the main transportation systems that transferred the Jews and other victims from their existence. We know that they were transferred from their homes and from their families. They were removed from their lives, jobs and friends. They celebrated birthdays, holidays and family gatherings. They were people just like us. On May 29th, 2017, we visited what seemed to be a quiet little town in western Berlin. As we pulled into the suburb and started to walk around, I began to question the area. As I took in my surroundings, I first noticed a wall with imprinted carvings that appeared to be people standing in a line. According to the student teacher of our group, Josefine, the carvings were sponsored and given by the local authorities of the community. The wall was next to a building that looked like an old railroad station hall. When I walked through the hall, which is known as Grunewald Station, to the right was a staircase. The stairs led me back outside to what appeared to be an abandoned train platform. When I looked straight ahead, I saw a clearing with a building at the end of the platform on the left. On my right, just next to me was a wooded area with a path. 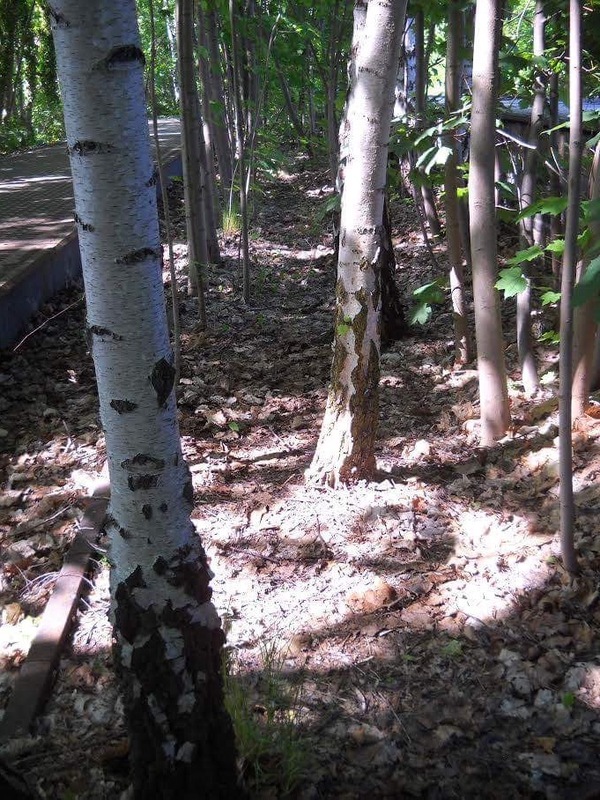 I walked onto the path and followed it along the tree lines. As I walked, I looked on the ground off the track. I noticed train tracks with an overgrowth of foliage almost completely covering most of it. Walking down the platform, I saw the metal plates placed on the ground that led to the clearing ahead of me. As I reached the clearing of the platform, I looked around and was told what the abandoned station was. 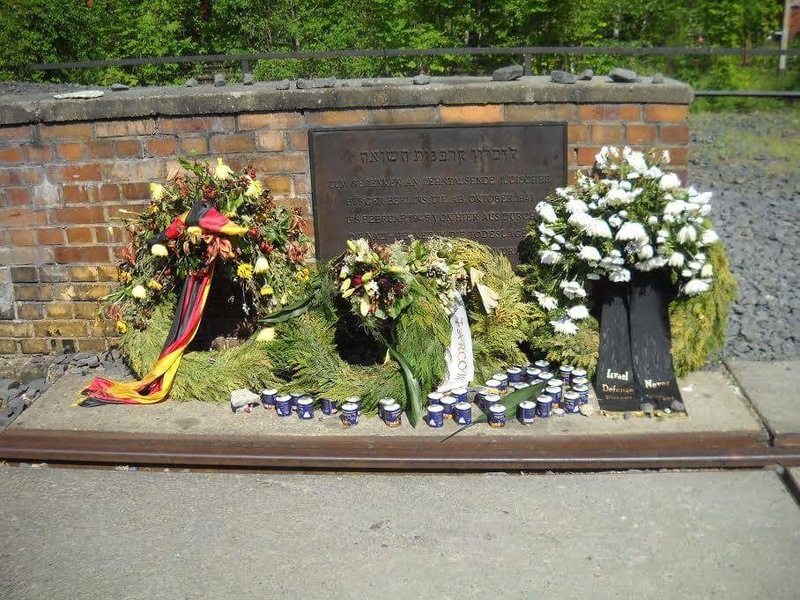 This was the Track 17 memorial or Gleis 17. This was the train station that deported the Jewish citizens, along with many others to the concentration and extermination camps. I heard the sound of a neighboring train that was on the left side of the current station. The sound of the train gave me a chill and a sense of sorrow. By the 1940s, the expulsion and deportation of the Jewish communities and the ghettos began. 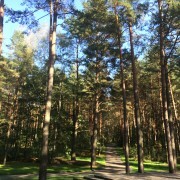 At the Grunewald Station of Track 17, the Jewish communities, along with many other communities surrounding Berlin were taken to this station to be transported to the camps. 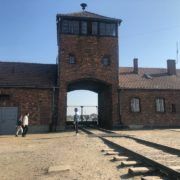 Although Auschwitz is more notoriously known of the camps, Track 17 was the departure point for the other camps such as Theresienstadt concentration camp. To fund the cost of the deportations, the Nazi officers would require payments from the victims for their own transportation. This lie helped the process run more efficiently by calming the people into believing they were going to the east for hard labor. Over the course of the war, hundreds of thousands of people across Europe were deported to the concentration and extermination camps. It is important that we remember Auschwitz as well as the other concentration and extermination camps. It is also important to remember the laws that came into effect that were posted. What came to be known as the Nuremberg Laws, these laws were established in 1933 when Hitler became chancellor of Germany. Slowly yet swiftly the civil rights of Jews were apprehended until they themselves were taken away. The signs today are still posted but pictures have been added as an artistic concept. But, it is also important that we remember the deportation that led the Jews along with other victims to their fates. It is important to remember Track 17 because not everyone died as soon as they arrived at the camps. Many died on the trains along the way. They died due to harsh conditions, disease, exhaustion and many other cruel aspects. As I reflect on Track 17 in Berlin, I cannot express the importance of the memorial. 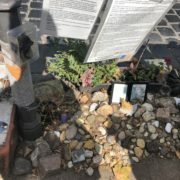 I highly recommend visiting the Track 17 memorial in Berlin before visiting Auschwitz or any of the other concentration camps. 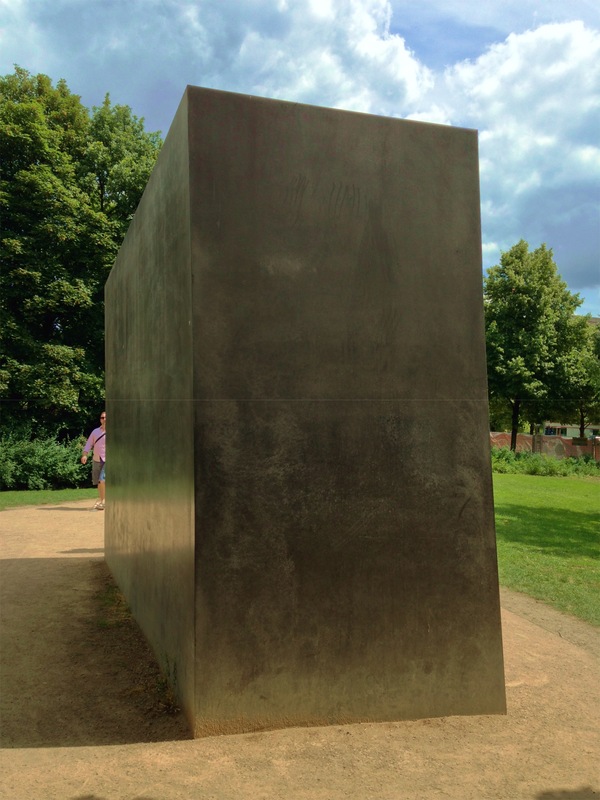 By visiting this memorial first, you gain a greater insight of what occurred during the holocaust and World War Two. By visiting this memorial, there is a greater chance of Track 17 becoming more visible and not becoming lost into history. Josephina. Track 17 Memorial, Grunewald Station Berlin Visit. May 29th, 2017.